Good morning. 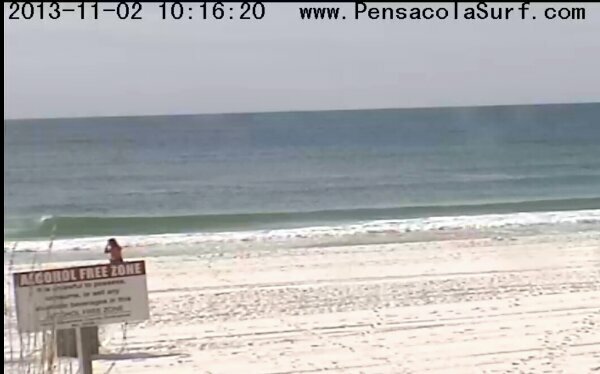 We still have some small surf coming through. It’s running knee to thigh high and ever so often I am seeing a hip high peak. The wind is blowing out of the North at 6-7 mph causing for glassy conditions and the air temperature is 69 degrees. Go surf while you still can. We will give you another surf report later today.